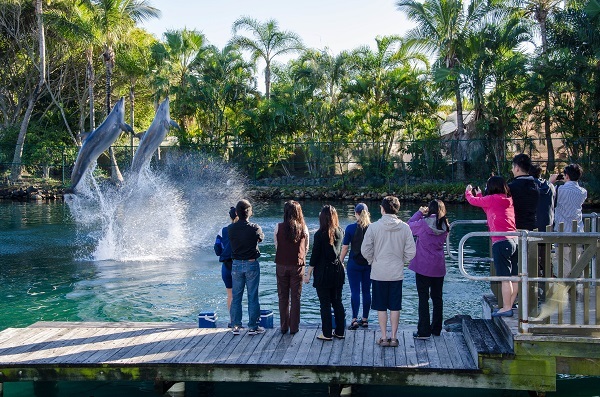 We’re often asked about which are the best Gold Coast attractions. Take advantage of our local knowledge and experience (yep, I’ve been to them all!) and catch the best for your family. Movie World has something for everyone, with a nice selection of rides from thrilling roller coasters to kid’s rides. Plus, there are plenty of family shows and you can meet your favourite Warner Bros characters. Seaworld is all about the kids! If you’re a grownup, there aren’t many rides at all, but if you’re a kid there are plenty! And really, at Seaworld, it’s all about the shows (especially the famous dolphin show) and the animals. Like water slides? Then Wet n Wild is the place for you! It’s generally packed during summer, but if you can brave the chill in the cooler months, you’ll be rewarded with very short lines. If thrill rides are your thing, head to Dreamworld – they do them better than anywhere else on the Gold Coast. Besides the scary ones, there’s a great selection of tamer rides for grownups and kid’s rides. There are also a few animal shows, plus koala photos. Currumbin Sanctuary is another great one for kids and animal lovers – it’s a huge park with plenty of animals to see. You can wander in the kangaroo enclosure, feed the lorikeets and check out the many shows on during the day. 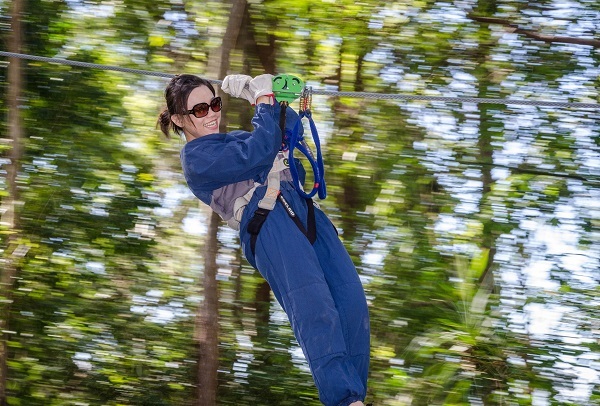 Once you’re in Currumbin Sanctuary, you can upgrade your ticket to do the high-ropes course, which takes you through the trees above the sanctuary. There are a few different courses, graded in difficulty. You can even take a flying fox over the crocodile enclosure! There’s also a stand alone Adventure Park high ropes course at Mount Tamborine. To make sure you get the best value, you can buy your tickets to all these attractions plus many more through Elite Holiday Homes.